If there is an intergenerational game, which is identified as the origin of video games, that is Pac-man . Launched in 1980, it reached the Guiness record for being the arcade video game with more machines worldwide (almost 300,000). Its creator, Toru Iwatani, visits the Barcelona Games World. “37 years ago, if you went to a recreation room in Japan, it was all men, it was pretty bleak. In my company, Namco, they thought they had to create a game that made the girls feel comfortable, not all fighting games. We began to think concepts closer to the female audience and came the idea of gastronomy. That’s how Pac-man started to be created”, Iwatani told the newspaper. The protagonist’s form was also related to gastronomy: “We were analyzing ideas … And one day we ordered pizza to eat in the office. Upon removing the first portion, I looked at the pizza and thought that image was like a finger to what we were looking for. That’s how Pac-man’s image came about”, he says. The success of the game was almost instantaneous in Japan, but at that time the launches outside the country were slower. Little by little it was coming to America, to Europe, and it became a success. Of course, before, it underwent a small change of name: the transcription of the Japanese title was Puck-man, and the first word was too similar to another nasty one in English. 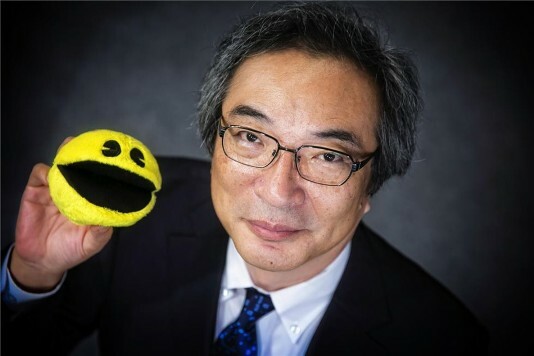 Iwatani continued to develop video games for 30 years, but none reaped as much success as Pac-man. In the time of success of the retro, like the Super Nintendo Mini, the creator jokes that he would like to see an “Iwatani Special” machine with his best games. He retired from videogame design a decade ago, and he is now a professor at Tokyo Polytechnic University. What do you say to your students? “First, do not just play video games, but they have other experiences, since then they will be able to apply them to the games. Second, do not aspire to make a game that only likes them, but think about who is going to play it”.